Punch Studio My Favorite Things Guided Soft Cover Journal, Lavender Floral # 75919. 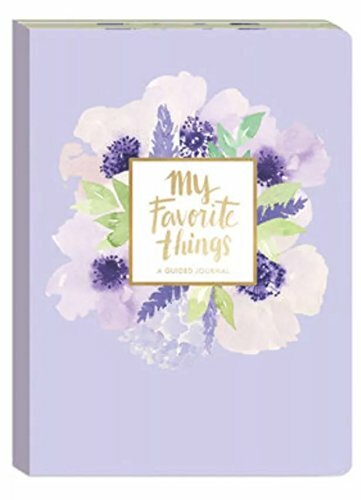 Favorite moments, meals, friendships and more, this lavender floral guided journal has space for everything you love. It is also perfect to pen down your dreams and your journey towards achieving them. Yummy Food for Thought Foodie Themed 3 Pack Lined Paged Novelty Journal Notebooks 8.5" x 5.75"